From 2017 onward, disposable cups were woven on a floor loom in cotton by some of Riding Mountain National Park's most stunning lakes and in the artists studio. Kristin Nelson invited people to have a drink using these cups in a series of performative servings of water at water coolers, by lakes, and by the river. The continuous making, serving and destruction of cups is presented here in its final installation of drink. drink is an overt commentary on our precious natural resources and the effects of our consumer culture on them. "I investigate and ennoble different forms of labour through the re-presentation of mass manufactured objects. Repetition, reproduction and the re-appropriation of technologies are strategies used to make my work's various relationships to my body evident. Often, my attempt is to reposition how we value labour beyond a Capitalist or Marxist value approach. This repositioning of labour - as seen through a disability studies lens - places value on the body itself, instead of on what the labouring body produces. "The language of manufacture is played out through the creation of multiples. I apply this language of manufacture using multiples to raise questions about social, political and aesthetic boundaries in the interest of artistic, intellectual and manual labour. With this work, my aim is to append a particular value to all objects, despite the objects' place within or outside of a capitalist construct. Regarding art, the questions, 'Is art valuable' or, 'Does art matter' become irrelevant to me in the production of art and the labour involved in its creation. For me, the value of all objects lies inevitably in each object's relation to labouring time." For more information, visit the Neutral Ground website. The latest exhibit from the WAG's New Contemporary series reveals what is rarely seen by the public—the artist's process in their studio and their research from the museum vault. Often viewers only witness the complete ‘finished work' in art exhibitions. Behind Closed Doors shares some of the research, experimentation, and the trajectory of a body of work in progress: how an idea is developed and how it evolves. In many ways the studio is laboratory and the vault a place of study. 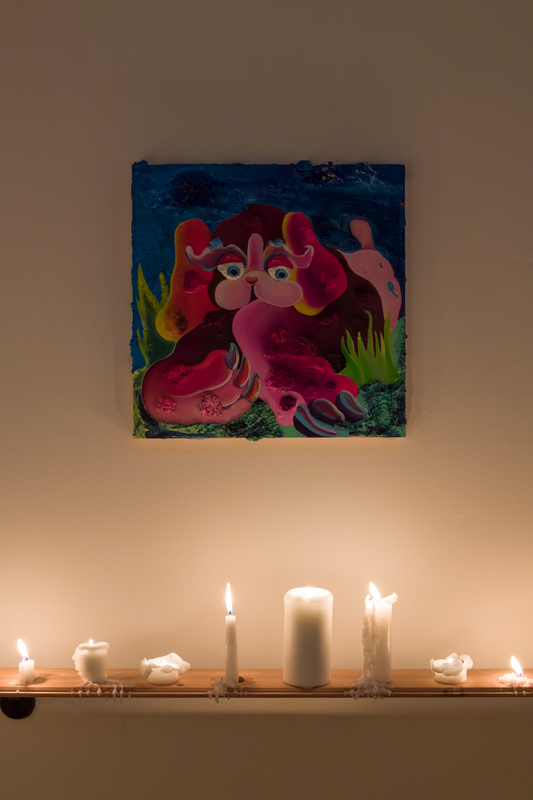 There is a sense of enchantment visiting artists in their spaces and connecting the ways ideas are expressed in different forms. This experience is yours to discover in Behind Closed Doors. The exhibition brings together work from artists based in Winnipeg or with Winnipeg roots. Artists Ian August and Irene Bindi excavated and researched pieces from the WAG collection to inform and influence new works created for this show that unveil layers of knowledge and material. Working with art historical items unfolds a transformation of new ideas and ways of thinking and rethinking objects through a contemporary lens. Three new works on paper now available through the gallery. Email for pricing. Tess Michalik, I feel with my eyes, 2017. oil on panel, 16" diameter. We are delighted to announce that Chantal Dupas (Winnipeg, MB), and Tess MIchalik (Brooklyn, NY), will be part of a new exhibition, curated by Jaimie Isaac, opening next month at the Winnipeg Art Gallery. 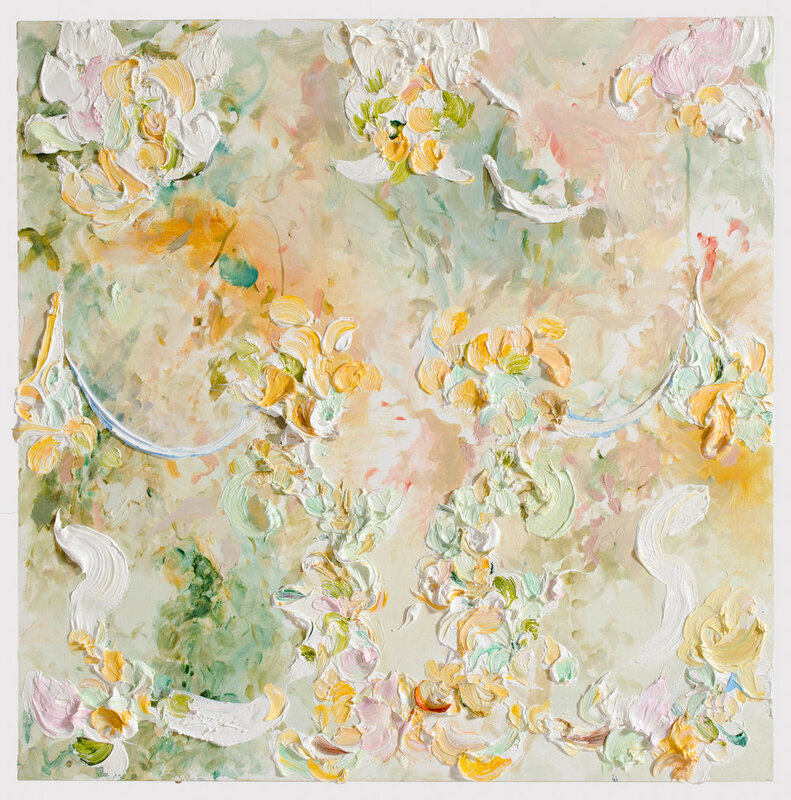 The exhibition opens to the public on April 21 and runs until September 3, 2018.
organic, an intimate exhibition featuring Tess Michalik (New York, NY) and Chantal Dupas (Winnipeg, MB) is a mélange of Michalik's colorful, sumptuously layered oil floral paintings with Dupas' finely drawn and meticulously painted botanical illustrations. Pieces from the WAG's decorative arts collection will appear alongside the works of these two artists, helping to uncover another layer for study and dialogue with art history and contemporary design. This show visually illustrates influences of both scientific and decorative art, capturing the beauty in the organic natural world. From January 25-28, LKAP participated in Art Los Angeles Contemporary. A sincere thank you to all who visited the booth, to Tim Fleming, Director of ALAC, for another banger of a fair, and to Canada Council for the support. Corri-Lynn Tetz is currently part of the exhibition, life's not fair and people don't act right, pt. 1 of American Fine Arts, at BBQLA. Curated by Timo Fahler and Lara Schoorl. All of the artists in BBQLA’s afa represent an emerging faction of the art world. They are early in their careers and their practice speaks to their ambition and drive while depicting cultural viewpoints that establish an overall sentiment of what it means to be making art in this time and this place. We have met with and visited artists from disparate walks of life and compiled a group that not only represents the future of the art world, but critically speaks to the existence of our collective voice and the hopes and fears of what we experience. On view through March 3, 2018. A book is forthcoming. 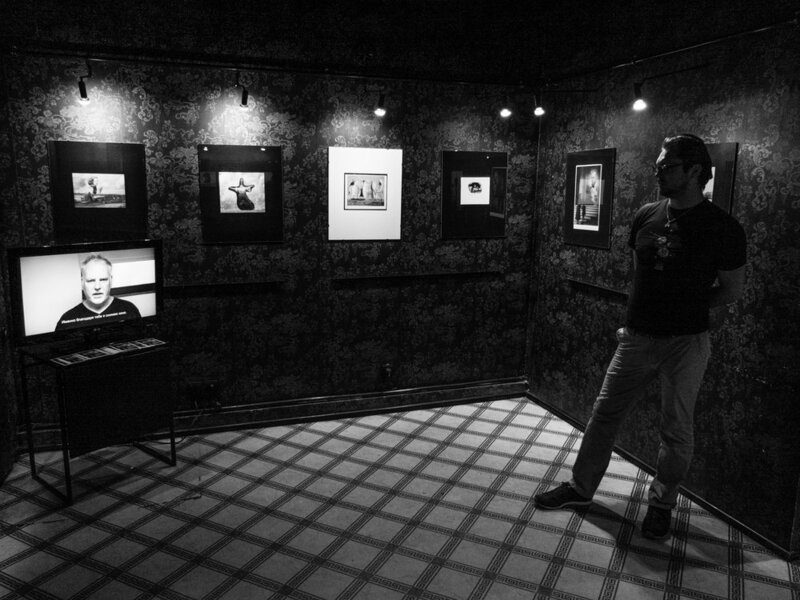 Installation images by Jeff McLane. Plug In ICA is pleased to present a talk by Glasgow based artist Erica Eyres, who is the 8th speaker in our 2017 Stages Speaker Series. This series is held off-site at the former Globe Cinema in Portage Place Mall, Winnipeg. Erica Eyres’ artistic production is defined by an admirable proficiency in a range of media including drawing, film, and most recently ceramics. Thwarting her refined skills, she embraces awkwardness and humour that has a lo-fi aesthetic. Autbiography is often the subject of her work, which she obscures through costuming, narration and role reversals. She is influenced by the social and artistic milieu of Winnipeg, where Eyres was born and regularly returns to from her current home in Glasgow. Eyres mines visual references from the surrealism of daily life and the aesthetic of TV, Eyres is interested in failure, and misaligned characters. Her drawings often play on sexuality and fantasy that is always slightly unsettled. 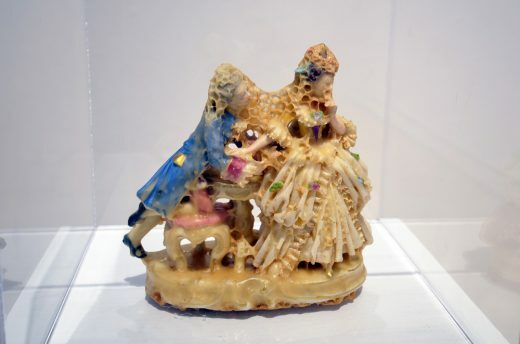 In a similar mode her work with ceramics draws on everyday objects such as candles, insects, food or body parts, which operate as stand-alone objects that are decontextualized or estranged. Eyres graduated with an MFA from Glasgow School of Art in 2004. She has had solo exhibitions at CCA, Glasgow and the Kunsthaus, Erfurt, with selected group exhibitions including PS1, New York; Plug In ICA, Winnipeg; and The Akureyri Art Museum, Akureyri, Iceland. Recent exhibitions include The Vegetable Store, part of Glasgow International 2016; Holidays in the Future, at Lisa Kehler Art + Projects, Winnipeg (2015); and Biography Channel, ASC Gallery, London (2014). Upcoming projects include a solo exhibition at Queen’s Park Railway Club, Glasgow (2017). She is currently doing her PhD in Fine Art at Northumbria University. This artist talk with Erica Eyres is part of Stages Speaker Series, which is offered in anticipation of Stages: Drawing the Curtain, a constellation of temporary public artworks to be launched in August 2017. This large-scale public art project asks artists to locate a site within the city of Winnipeg from which to contemplate the stage - its function as a platform; its meaning as a point of attention; and its physical design. Directed by their individual interests and material preferences, the artists will build sculptural ‘stages’ ranging in shape and form, connected as platforms for audiences to occupy, physically engage with and contemplate. In keeping with the drive of Stages to bring art beyond our walls, all talks for Stages Speaker Series will be held at an off-site location. This presentation will be held at the former Globe Cinema, 3rd floor, Portage Place Shopping Centre, 393 Portage Ave, Winnipeg. *Artists for Stages: Drawing the Curtain include: Abbas Akhavan (Toronto), Pablo Bronstein (London, UK), Erica Eyres (Glasgow, UK/ Winnipeg), Kara Hamilton (Toronto), Federico Herrero (San José, Costa Rica), Toril Johannessen (Tromsø, Norway), Divya Mehra (Winnipeg), Krista Belle Stewart (Vancouver) and Ron Tran (Vancouver). Stages Speaker Series and Stages: Drawing the Curtain are made possible through the Canada Council for the Arts New Chapter Program. We are delighted to announce that Erica Eyres has been long listed for the prestigious Sobey Art Award. Originally from Winnipeg, Erica Eyres lives and works in Glasgow, Scotland. She holds an MFA from Glasgow School of Art. Through videos, drawings and sculptures, she explores narrative fallacies that complicate the viewer’s understanding of the author’s subjective truth, and problematizes the notion of the autobiographical. Frequently borrowing from the aesthetics of low-budget television, her videos centre around personal narratives and her own performance in her videos is revealed through a disembodied voice or pair of hands. This detached approach to performance is reflected in her recent series Conference Drawings (2016) and Life Drawings (2016). Congratulations to LKAP artist Derek Dunlop who is participating in the International Studio and Curatorial Program's Spring Open Studios exhibition in New York this week. While LKAP attends Papier Montreal 2017, the gallery will be close Wednesday April 19th through Friday April 21st. The gallery will be open Saturday April 22nd for the final day of This Must Be The Place (Home Pt 2). We apologize for the inconvenience but the gallery will be closed today. We will reopen Wednesday at 12. 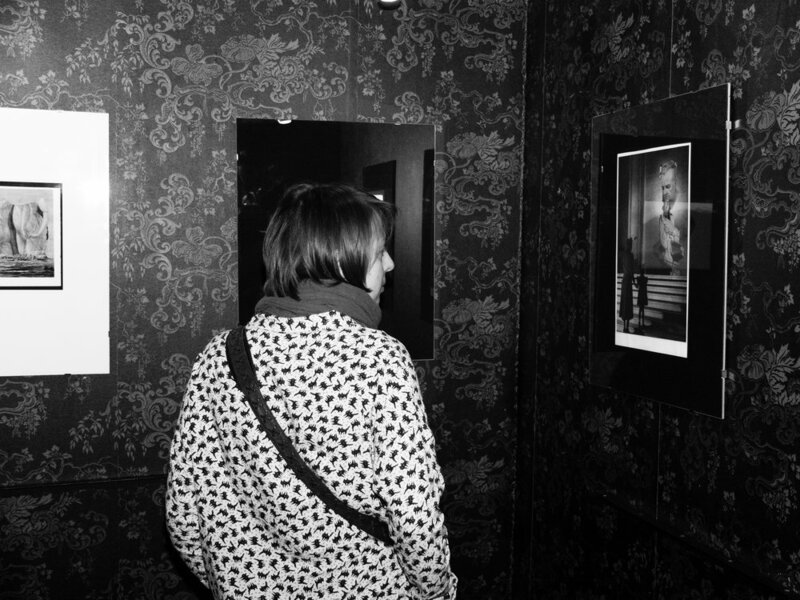 The gallery will also be open by appointment only from April 20-22 while we are at Papier. Thank you. 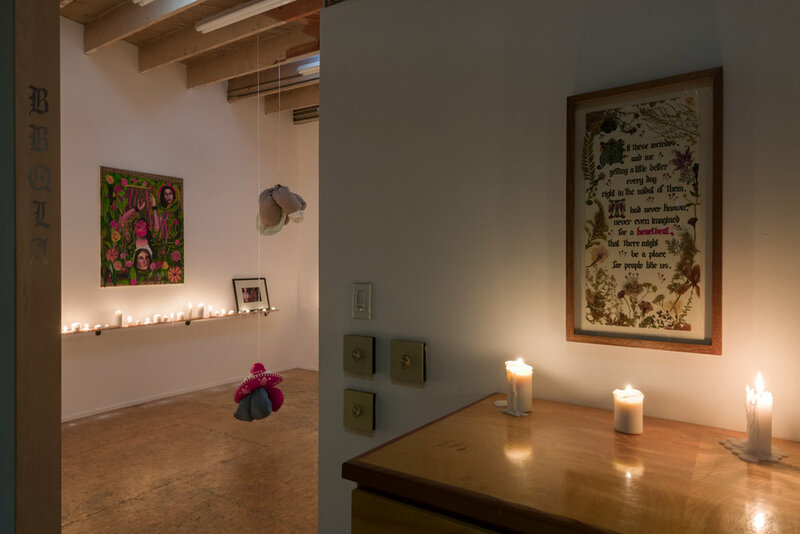 Back in October, 2016, we were interviewed about the Daniel Johnston exhibition at the gallery and how to make a commercial gallery viable in a smaller market without compromising creative integrity. One excerpt here, but visit their website to read the full article by Caoimhe Morgan-Feir. "...these tendencies aren’t deterring gallerists in cities across the country from putting on relatively niche shows. Take Winnipeg gallery Lisa Kehler Art and Projects’s recent presentation of work by cult musician and artist Daniel Johnston, whose drawings, created with marker, reference popular culture and dwell on his recurring theme of unrequited love. “I was looking to bring Johnston’s work into Winnipeg and into the gallery, without really even knowing if there was a market for it. But it’s something that I’m so passionate about, that when I focus on the education aspect of the show, it’s almost creating a market for it,” said Kehler at the time." "Aganetha Dyck has spent 20 years working with honeybees, placing found objects into their hives which will then become naturally coated in patches and layers of honeycomb. This transforms the look and feel of the objects into something new and strange. “Most of it is all their own decision, but she sometimes gives them hints about where she wants them to build using pheromones,” adds Falvey. Interestingly and tragically, Dyck recently developed a “life-threatening allergy to bee stings.” She has not given up, enlisting the help of photographer William Eakin to replace her in the physical act of putting objects in the hives. Eakin then further adds to the collaboration by photographing the objects. It’s curious to consider that if anything were to happen to bees in this uncertain time for them, they will leave an artistic legacy behind." Jeanette Johns The Weight Of The Earth's Curve at Arprim, Montreal. Jeanette Johns The Weight Of The Earth's Curve at Arprim, Montreal. January 20th to February 25. Winnipeg-born, Montreal based artist Jeannette Johns presents a series of new works on paper that explore historical representations of the Earth's sphericity. In various fields of knowledge - philosophy, topology, geography, astronomy - the three-dimensionality of the Earth is collapsed and distorted into two-dimensional representations of scale, dimension and distance. However our lived experience is necessarily tied to the Earth's volume, gravity and movements through three-dimensional space. Johns's works consider the complicated relations of optics, scale, abstraction in our desire to map truth. Suzie Smith at Centennial Hall, Winnipeg. Suzie Smith at Centennial Hall as part of a collaboration between Plug In ICA and the Winnipeg New Music Festival. January 20 to February 28. Robert Taite in Plastic Rhymes at EAGM, Estevan Saskatchewan, January 20 to February 24. Winnipeg artist Robert Taite shows new work in the group show Plastic Rhymes at the Estevan Art Gallery and Museum, Estevan Saskatchewan. Plastic Rhymes considers Picasso's assertion that painting produces geometrical rhymes in form, colour and space. Extending Picasso's observation beyond the surface of the canvas through the use of various non-traditional media, alternative frames, and by occupying unconventional gallery space, Taite's work critically re-evaluates the language and assumptions of painting. We are delighted to announce that we will be taking part in Art Los Angeles Contemporary (ALAC) from January 26 - 29, 2017. One of only three Canadian galleries accepted to the fair, we will be exhibiting the work of Winnipeg-born, LA-based artist Jon Pylypchuk, Winnipeg-born, Boston-based artist Guy Maddin, and Winnipeg-based artist Robert Taite. The fair opens to the public on January 26 at 7 pm. Tickets are available here. If you plan to be in the LA area, please let us know! Come for a private viewing of Winnipeg-based artist, Suzie Smith's new solo exhibition while tasting incredible cheeses carefully selected by the Cheesemongers, and deftly paired with classic cocktails created by Josey Krahn from the Forth Bar. Tickets are limited, and are available here. We are proud to present the work of Erica Eyres, Krisjanis Kaktins-Gorsline, Guy Maddin, Jon Pylypchuk, and Robert Taite - a diversity in medium including collage, sculpture, drawing, painting, and textiles. We will also have a limited selection of works by Aganetha Dyck, and Kristin Nelson. We are also honoured to have been chosen to present a special project featuring The Long Weekend, the collective of Winnipeg artists and filmmakers including Paul Butler, Galen Johnson, Julia Anne Leach, Guy Maddin, and Caelum Vatnsdal, with special guests Jonah Corne, Simon Hughes, and Alicia Smith. A series of 6 fantastical, faux movie posters mounted in light boxes will be on display in the cafe. Each work is available for purchase. We look forward to seeing you there. Preview the works online now at Artsy. REMINDER: THE GALLERY WILL BE CLOSED FROM WEDNESDAY, OCTOBER 26 UNTIL NOVEMBER 1. WE WILL REOPEN NOVEMBER 2 AND RESUME REGULAR HOURS. Erica Eyres, Line Up, 2015. Pencil on paper, 14 x 11 inches. The Long Weekend, Space Wars, 2016. Digital Print in lightbox, 36 x 24 inches.